Seamus will recount the story of three months of bloody confrontation on the streets of the French capital following the siege and fall of the city to the Prussians on January 28, 1871. This month's Bal Feirste's Workshop/Bal will be a special event with a change of venue and a very special guest performer …. Valentin Barray. Valentin Barray creates a beautiful ambience through-out his Bal Folk performances. He is a pianist and composer with a glittering array of achievements and accolades from his formal studies and performances in Europe. One of our members, Brian, has drawn my attention to the fact that Eddie Izzard is coming to the MAC for one night soon. His show “Force Majeure” is on Thursday 16th March, and some members may be interested. He presents his show in 3 languages consecutively, an hour each, German, then French and finally in English. Tickets are required for each separately and the English version is sold out but, at the time of writing, there are still tickets available to the performance in French. To celebrate French language and cultural diversity, the Month of La Francophonie 2017 will showcase from March 1st to April 2nd a series of cultural events involving music, literature, film and history along with talks, debates and contests. 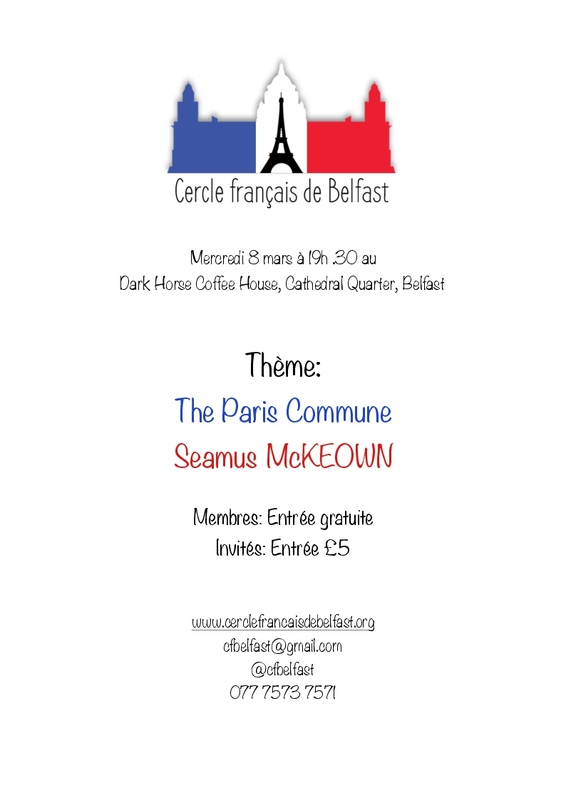 http://www.ambafrance-ie.org/The-Month-of-La-Francophonie-in-Ireland-2017-Programme but perhaps of most interest to us will be Franco-Irish Literary Festival (1st -2nd April) … more information to come later this month.